Yay, Happy Friday!! We flew back from Colorado in the wee hours of Tuesday morning so it was a short week for me, but still packed. Between catching up with work, blogging, and freelancing, I managed to squeeze in a happy hour at Joy District (which seriously has the best rooftop if you've never been before) and a dinner at Roka Akor. We went with some of Jeff's family and decided to go family style, which meant we got to try lots of stuff on the menu - my favorite way to try a restaurant. I loved everything but especially the black cod and the tuna tataki - yum!! 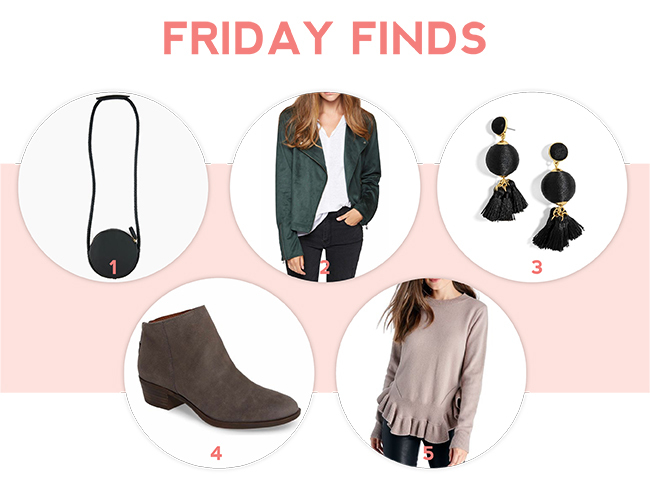 Here are my finds for the week - really I want to add a pair of leggings and wear this whole outfit out this weekend (you know, if the weather in Chicago would cooperate).